Mircea Lacatus, Romanian sculptor and poet, closes his show tomorrow, November 27, after a month long run at Gallery RIVAA, 527 Main Street on Roosevelt Island. 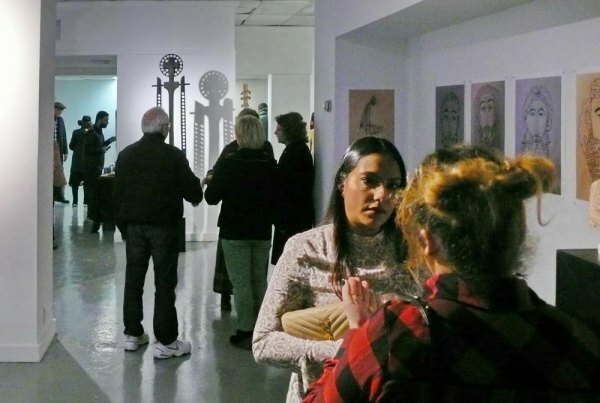 Adding insight and depth to its own member exhibits, the Roosevelt Island Visual Art Association has expanded art awareness locally by staging exhibits of artwork by established artists from other nations. 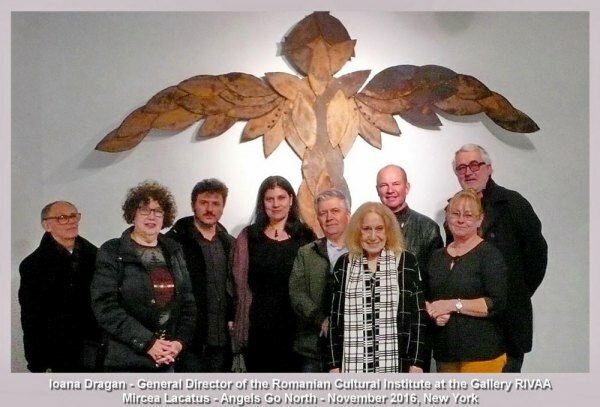 Angels Go North, an exhibit of sculptures by Romanian born Mircea Lacatus, organized by the Romanian Cultural Institute in New York, in partnership with Gallery RIVAA, opened on November 5th. A cello recital by Ariana Arcu accompanied a reading of the artist's poetry in English by Adela Sinclair. Lacatus is currently a guest professor at the University of Alabama in Huntsville. You have two days left to see the show, today, November 26th and tomorrow, from 11:00 a.m to 5:00 p.m., both days. Here is a gallery of photos by Tad Sudol from the opening.